The morning air has a new coolness to it. Every evening, the sun west of my home dips below the hills a minute earlier, and for the first time this summer, I notice the daylight is just a little shorter. 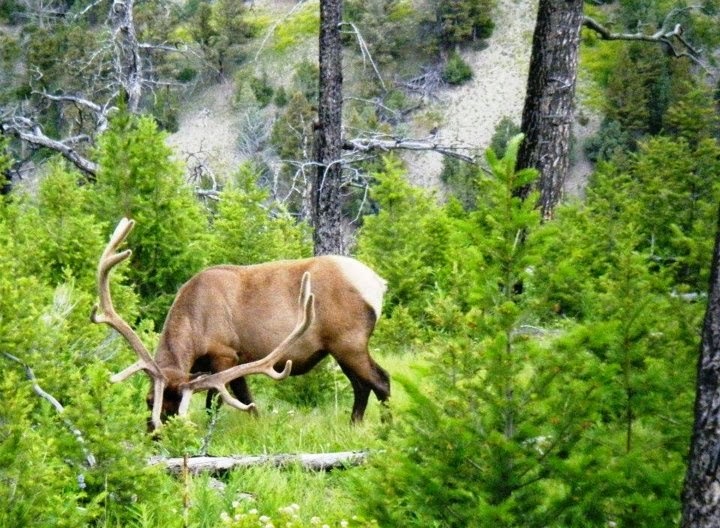 It’s that time of year – when I know that within a few days I’ll be combing the wild country in Montana with a bow in hand as bull elk scream in a fury during the rut. I have yet to kill an elk with a bow, although I’ve had a few chances that just didn’t work out. But for me, the week I spend every year is so much fun I could care less whether I punch a tag. The experiences of getting to explore great country, see abundant big game and get close to a host of wildlife ranging from big bull moose to foxes and eagles, makes September the best month of the year. My annual trip to a corner of Montana that shall remain unnamed is a tradition that I hope to maintain for the rest of my life. Every year I gather with good friends and spend a week away from the cell phone, the computer, the stress of the office. It’s a chance to remember what hunting is supposed to be about – the experience and the fair chase, rather than some antler-obsession or the Boone & Crockett score. The country where I hunt is some of the most unique I’ve ever seen. It’s not really mountainous, but rather big, broad hillsides punctuated by small willow-lined creeks. Moose frequently hang out in the creek bottoms, mule deer roam the hills and of course the elk most years are everywhere. It’s some of the best public land America has to offer. One year I was awakened in my tent by the car as a herd moved to within a few hundred yards of the car in the early morning dark, again with the lead bull screaming in a fury. I didn’t have to walk far to get into the herd, although the band of cows made getting in close nearly impossible. Once again, I was caught and the herd ran off as I tried to work my way closer. I’ve spent many an early morning walking through the sage brush, trying to get to a certain patch of timber before the elk made it there. I’ve had plenty of evenings sitting atop those hills, watching as the sun frames every ripple in the land as it slowly wanes. The air cools and in those final minutes of daylight, the elk get more active. Some years are a full-on rage as multiple bulls fight to keep their harems in line. I’ve never been good enough to bring one of those mature, smart bulls in, although few come close. This year, the anticipation of putting it all together swells my neck. These experiences also remind me of the value of our public lands. They’re the vast landscapes that we all own. These public lands make every hunter in America a king. We enjoy world-class hunting here, and with a little effort and planning we can be successful. Maybe one of these years I’ll actually kill an elk with a bow. Maybe I won’t. But in the long run, it doesn’t really matter, because it’s being out among the rutting bulls and the vast expanses of open, wild, public country that matter. Protecting the headwater streams from pollution seems like a pretty reasonable move. These are the streams that supply cold, clean water to Montana’s legendary trout rivers. 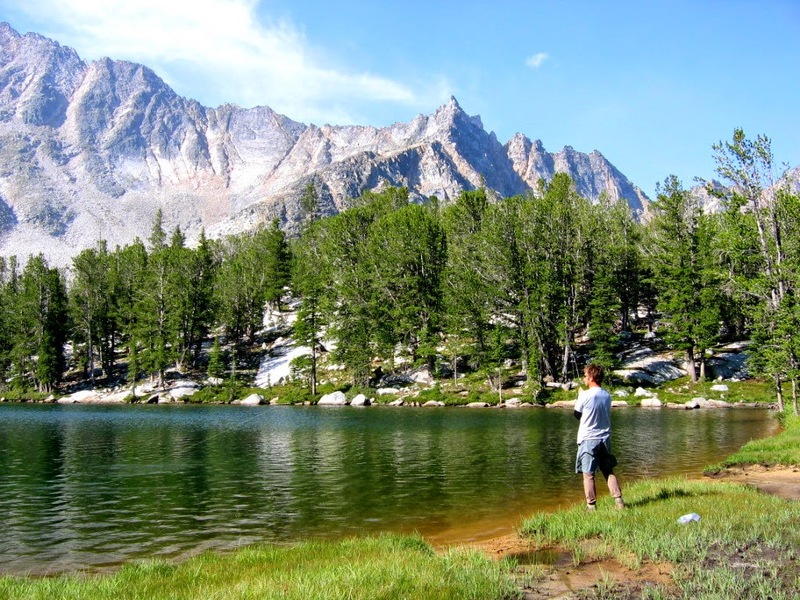 Iin a state without stocking, headwaters are our hatcheries. They do more than just give fish a place for hanky-panky though. They provide critical benefits for all Montanans, including supplying drinking water for cities and towns. 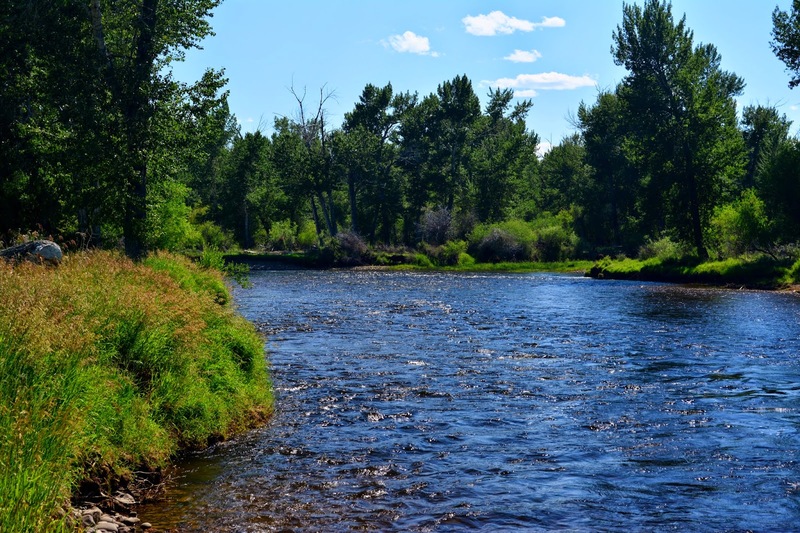 The EPA this year proposed the “Waters of the United States” rule that would put under the jurisdiction of the landmark Clean Water Act intermittent and ephemeral streams. In fact, those waters were covered by the act for decades following the initial passage of the law in 1972 and the law worked. Then a pair of U.S. Supreme Court rulings – one in 2001 and another in 2006 – threw the jurisdiction over tributary streams into question. In essence, the court told the EPA to get its act together and write a rule to clarify which waters are covered. Until that rule was written this year, it was up to individual government officials to make the call. That threw uncertainty into whether someone needs a permit to alter or fill a waterway. It’s that simple. The rule gives clarity and certainty. And in truth it’s less restrictive than the way the act was applied for three decades. The rule is not an expansion of EPA authority. It includes explicit exemptions for normal farming practices. It exempts all man-made ponds and farmer’s irrigation ditches. Rather, it defines the waterways as within the marks of where the water normally flows, even if that’s only for part of the year during natural runoff. This is about water that we all use, not about the land. But that’s not good enough for some. Some groups have engaged on a campaign of misinformation, stoked by fear and hatred. The rhetoric is outlandish. They say: If you have a puddle in a tire track, that’s covered. Farm ditches will be covered, they claim. A farmer even told an EPA official during a listening session in Missouri that the agency was out to “enslave” farmers. Really. The best source to dispel all these myths comes from the National Farmers Union. It produced a fact sheet that takes on every myth about the rule head on, and the group strongly supports it. And having a clear definition of which waters are in and which are out benefits everyone – farmers, ranchers, developers, anglers, and of course 117 million Americans who depend on these waters for drinking water. Of course fish and wildlife benefit too. In truth, the only time someone should worry about these waters is when they will either pollute or fill in one of these areas. And there’s another element to the rule that speaks to the good of everyone. When these waters are polluted, it costs cities and towns a great deal more to treat the water. That’s a cost many bear. As conservationist hunters and anglers, we know that you can’t have quality habitat without clean water. The WOTUS rule goes a long way to restoring clear protections for these tributaries and keeping Montana’s coldwater fishery world class. Labels: farm bureau, farmers union, Montana, supreme court, waters of the u.s.
A proposal to create a new “wolfstamp” for non-hunters to help fund Montana Fish, Wildlife and Parks legislatively mandated $900,000 per year wolf program has been cast as a secret plot to end wolf hunting in the state by some people. Others claim it will lead to more dead wolves and shouldn't be instituted because of that. Like 99% of all public policy, if both extremes are upset, you might have just hit the ball out of the park. The problem is, like so many things these days, both sides would rather fight than win. While the idea might need a little bit of refinement, it seems foolish to deride anyone who comes up with new, innovative ways to fund wildlife management. To begin with, it’s important to note that the idea came from the Natural Resource Defense Council, a nationwide group with an office in Bozeman. Zach Strong, a Great Falls native and lifelong hunter, proposed the idea to offer anyone who wanted to contribute to wildlife management to pay for non-lethal means of managing wolves. The pitchforks came out right away. Opponents jumped on the proposal, making outlandish claims that don’t bear up under any scrutiny. Others opposed the stamp along financial lines, which have some merit. FWP is currently engaged in seeking funding increases to ensure our world class wildlife stays world class and a stamp like this could possibly upset the political balancing act necessary to get anything through the Montana Legislature (which is notoriously antagonistic to Fish, Wildlife and Parks). But even the more moderate criticisms shouldn’t stop movement forward of this proposal. Those issues can all be worked out before the session begins in January of 2015. Here’s what the revenue generated by the stamp can be used for: preventive measures to keep wolves out of trouble by the state Livestock Loss Reduction program; the acquisition of habitat that benefits elk & deer as well as wolves and for game wardens to help enforce wildlife laws. That’s it. The preventive programs include active carcass removal to get rid of attractants that bring bears and wolves down into valleys, setting up trouble. They also involve hiring range riders and some selective fencing efforts to reduce conflict. It’s worked. In the Blackfoot Valley alone, problems with grizzly bears have been reduced by a staggering 96 percent, according to state officials with the livestock loss program. It’s also kept wolf attacks on livestock at a bare minimum. It’s important to note that this funding doesn’t support anything FWP isn’t already doing. 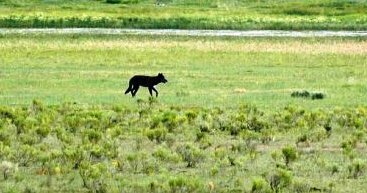 And while it may have the non-lethal stipulation on it, getting more funding into FWP could free up other money to fund the day in, day out management of wildlife, including wolves. The wolf stamp is only dipping a toe into exploring opportunities for non-hunters to help shoulder the burden that hunters, anglers and landowners have carried for generations. This is a pilot project that should be welcomed, not feared. . The larger and more important point is that getting more of the public to fund public wildlife will help keep it that way – a public resource to be enjoyed by everyone. We will never all agree with some policies put forward by some groups, but the fact is those people have as much of a seat at the table as anyone else. Some people are quick to call them “freeloaders” and yet decry them for wanting to put up funding. That’s a bit of talking out of both sides of your mouth. And finally, it’s critical to look at the path some other states have taken on this issue. States that have broadened the funding for their fish and wildlife agencies – most notably Missouri and Arkansas – have maintained strong departments and strong public hunting opportunity. States that have gone another route – like Colorado and most strikingly Utah – have seen a steady decline where hunting has become a privilege of the moneyed elite. I’d rather share the burden of funding wolf management with those willing to purchase a stamp which frees up my license dollars to work on other issues than continue down a road that sees less and less funding for wildlife management. The public has a chance to weigh in on the wolf stamp. You can attend the meetings this evening at your regional Fish, Wildlife and Parks headquarters and you have until August 22nd to submit comments online. We encourage you to participate in the great democratic process that is Montana's Wildlife Management. Can you love a species of wildlife so much that you won’t hunt it anymore? Since I came to Montana in 1962, I have loved the way Mule Deer look, with their big ears and the way they stolt when disturbed. I especially love the country they live in. And of course, I love to hunt and eat them. I usually justify my hunting by looking at the animals as a species and not as individuals. This is how the professional wildlife biologists view mule deer when determining how many animals can be harvested in a sustainable manner. 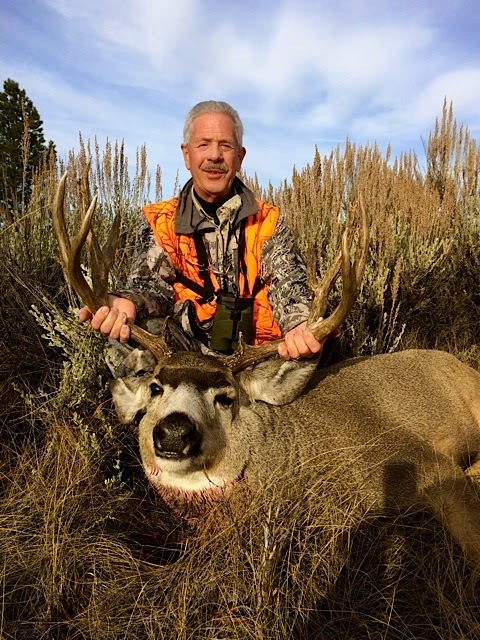 For the last 55 years, I have viewed mule deer, and the other animals I hunted, as a species, rather than as individuals with complex social interactions in their herd. My long-time hunting ethics was shaken by the PBS nature program Touching the Wild. Its storyteller and author Joe Hutto lived in the midst of mule deer winter range in the step country east of the wind river range in Wyoming. Hutto is an Ethologist. “Ethology in its pure and most honest form is primarily an exercise in revealing the magnitude of how little we know about living things---but it could be logically inferred that every living thing should be regarded with at least a modicum of respect or who it is.” He spent every day for years living with those mule deer. He was accepted as one of the herd. A pregnant mule deer doe would lay down next to him and let him feel the fawns kicking in her belly. By the time they were born, the fawns knew him from hearing his voice. These profoundly intelligent deer had a complex social life. 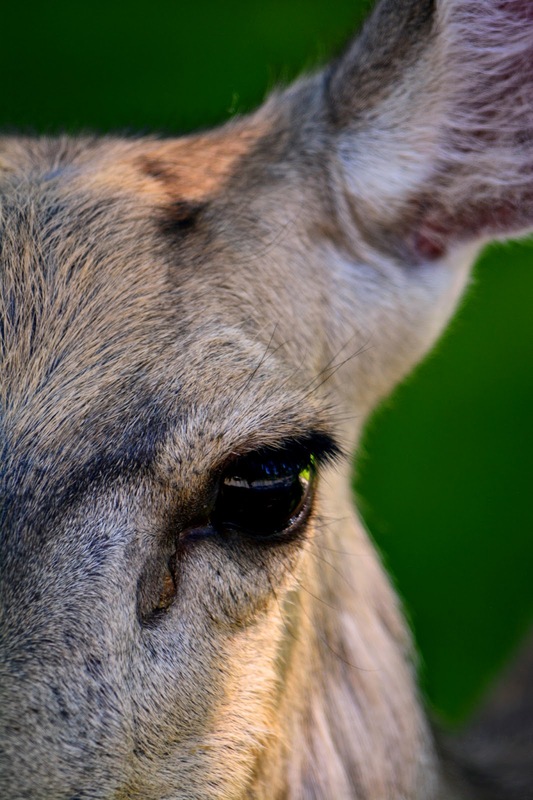 When one mule deer doe’s fawn was killed the doe was freaked out for two weeks, running around and obviously distressed. When a fawn lost her mom to a mountain lion, the fawn did the same thing. It was especially tough during hunting season when animals he had known since birth went down. Mule deer are not “a resilient species like elk, pronghorn and white tailed deer, which seem to readily recover from drastic fluctuation in population in the past caused by habitat destruction, catastrophic weather event, disease or overhunting… with every hunter carrying a rifle and scope capable of killing or at least crippling at one half-mile in this open terrain, it is a rare deer that survives three hunting seasons.” I learned so much from Joe Hutto’s experience that made me love and respect mule deer even more than I had before. This is my dilemma. Come fall, my favorite time of year mostly because of hunting season, it’s going to be hard to forget about Joe Hutto’s experience with these smart and social animals. If I kill a doe will it upset the entire herd for weeks? It is always a solemn thing to kill an animal. I try to honor them and show respect. I understand the important role of predators on the landscape, be they two legged or four. Hunters have empathy for their prey while lions, bears and wolves do not. That’s why we aim to dispatch our prey in the most humane way possible. This spring and summer I will enjoy watching them with all that I have learned, but come fall I don’t know how it will turn out if I have a shot at a mule deer. Every Montanan has a stake in what happens with Sage Grouse. From ranchers & farmers to oil, gas and coal industry members to hunters and anyone who loves wildlife. Everyone has a stake in ensuring that we don’t lose an iconic species of western wildlife. That’s why a recent editorial in the Great Falls Tribune caught my eye. The issue, of course, is how best to work to conserve sage grouse. The iconic species of the sagebrush prairies has been in decline, and the U.S. Fish and Wildlife Service is considering whether to put it on the federal Endangered Species List. That’s something none of us – conservationists, ranchers, hunters, wildlife watchers and natural resource developers – want to see because it means we've failed to do the job at hand: ensure a future for Sage Grouse without the heavy hand of the Federal Government. As it always is with wildlife, the number one factor that will help with that is conserving key habitat that the birds depend on. That was one of the main recommendations of the Sage Grouse Advisory Council, which met often over eight months to craft a plan. Apparently though, that’s not how some read the report. For some, the key to conserving sage grouse is “predator control,” including shooting coyotes, foxes, skunks, ravens and raccoons. And then there’s that other predator – humans. There certainly are some people who would rather try to lay the bird’s woes on hunting as well, and they pushed for reducing or eliminating it. Luckily, Hunters in Montana are organized and energized and fought the blanket closure effectively, forcing FWP to adopt a hunting season that closes hunting opportunity where the bird is truly struggling, yet allowing some opportunity for those of us who love chasing the big bird. In Wyoming, sound studies found that that just protecting the core areas wasn’t enough. Along with all the oil and gas development, there was a decline in sage grouse. But larger scale conservation to add in nesting areas was shown to be more promising. That’s why Wyoming Gov. Matt Mead proposed a $10 million conservation easement program to help protect 100,000 acres of nesting habitat that will work hand-in-hand with federal Natural Resources Conservation Service efforts. That’s the template that the council used in crafting a plan for a similar sage grouse stewardship program. Imagine that – habitat makes a difference with wildlife conservation. It’s not complicated, and it’s certainly not something new. The science has always been clear – regulated hunting is a non-issue when it comes to upland bird populations. Yes, their numbers will fluctuate, but with a good spring hatch upland game bird species can go from scarcity to abundance in one year. Sage grouse aren't as fecund as some upland species, but give them habitat and they’ll do fine. We absolutely agree that we should focus on the actual, peer reviewed science related to sage grouse. To date, none of that science shows increased lethal control of any predator has long term effects on the species. Likewise, hunting mortality is not a determining factor in sage grouse conservation, and in fact, without hunting a significant source of funding simply disappears, making listing even more likely. Furthermore, putting the blame on predators and hunters takes attention away from the real issue – habitat. 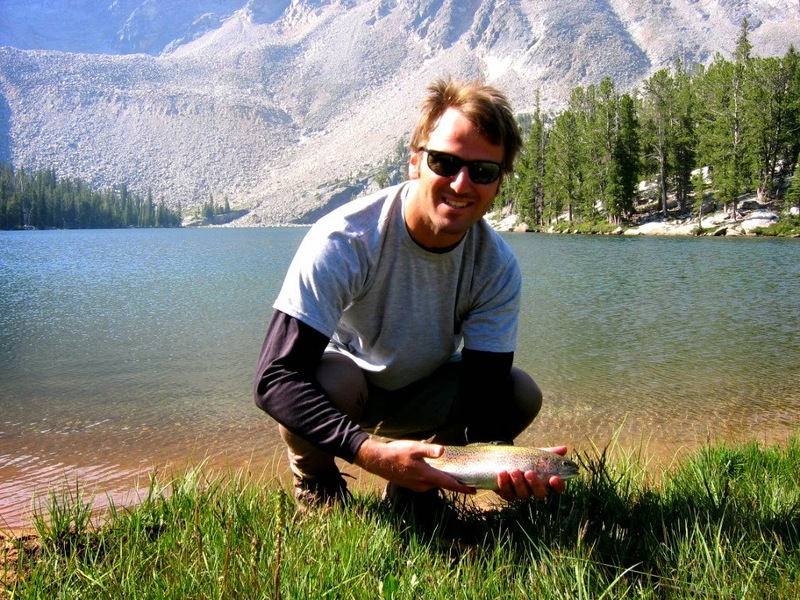 Sen. Jim Risch, R-Idaho recently received a national Teaming with Wildlife award. In accepting the award, Risch talked about what a great bird the sage grouse is and how it needs protection. On a personal note, I’ve met ranchers from eastern Montana who share that view and relish seeing these majestic native birds out on the prairie. We’re all in this together when it comes to conservation for wildlife. We have to use the best science available, even if it challenges our own pre-conceived notions of what is or isn’t harming sage grouse. The US Fish & Wildlife Service has said that hunting and predation are not limiting factors, so let’s stop demonizing people and get back to work helping this iconic bird.